The U.S. Department of Energy states that cog belt systems are 98% efficient, as compared to a 95% efficiency rating for V belts. That may not sound like much, but over time, incremental improvements in efficiency can save energy costs and more. Some companies change to a system that uses cog belts because it will save them money in the long run, but you have to weigh many factors before deciding to change over your equipment’s belt system. 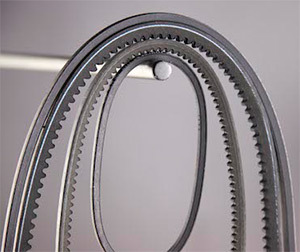 When your equipment’s current belt is due for a change, consider the pros and cons of using cog belts to see if changing to a cog belt system offers more advantages to your business. Deciding whether or not to change from your current belt system to a cog belt system isn’t a decision to make lightly or quickly. Contact Twin City Filter Service and speak with one of our experts today. With years of experience working with many types of belts and filters, we can help you weigh the pros and cons of your current system. We serve customers coast to coast, and offer next day delivery to Minnesota, Wisconsin, Iowa, South Dakota and North Dakota. Twin City Filter may be reached at 612-721-2001.